At the age of 28, Rick Wyatt retired from the US Navy, returned to his home town of Glen Burnie, where he was introduced to vexillology by his uncle, who sold flags from a van on vacant lots. Initially Rick got a foot peddler's permit and put together a cart from which he sold licensed baseball flags and pins on street corners. From these humble beginnings, Rick, with his wife, Georgia, would build and open their CRW Flag Store in Glen Burnie. This family owned and operated business celebrated its 25th anniversary in 2015. Both of their sons, Charlie and Chris, and their daughter, Shannon, have all staffed the store and continue to do so. Rick's love for vexillology turned into a career, and he and his family still shares his passion for flags. 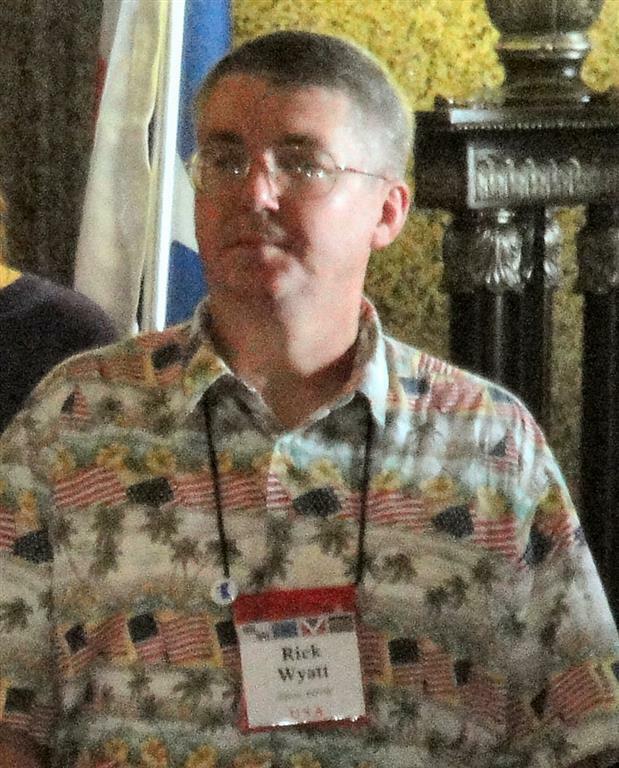 Rick joined the Flags of the World family in 1995, became the United States editor in 1997, and continues in that position. Rick, and his sons, have contributed a wealth of flag images to the FOTW database over the years. His personal enthusiasm about flags is legendary and he always finds time to chat knowledgeability with his friends about these interests. Rick was the first editorial appointment made by Rob Raiside after becoming FOTW Director in 1997.